Home > Educational Materials > Biology Educational Materials > Physiology and Health Learning Activities > Science Take-Out® Cold, Flu, Or Allergy? Science Take-Out® Cold, Flu, Or Allergy? What is causing the sniffles at the miller household? 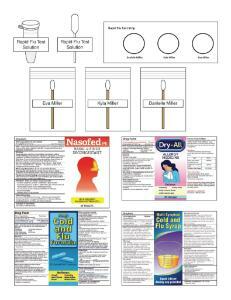 Common colds, the flu, and respiratory allergies have similar symptoms but they are treated with different drugs. The Drug Facts label on over-the-counter (OTC) drugs provides important information for selecting and using drugs safely. Conduct simulated flu tests to determine whether patients have the flu or not. 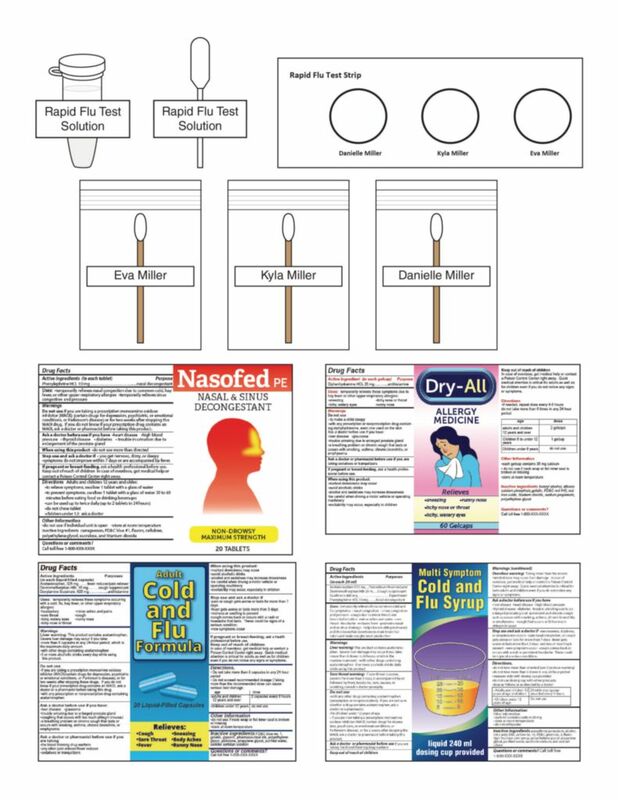 Use product labels from OTC medicines to select the medicines appropriate for patients with the flu, the common cold, or allergies. Caution: Choking Hazard. This science take-out kit contains small parts. Do not allow children under the age of seven to have access to any kit component.